The numbers don’t lie: there are more than 12 million Coinbase users, with more than 1 million added in the past month alone, and 18.5 million Blockchain.info wallets in existence, with the average blockchain transaction totaling more than $5,100. Beyond its use for emulating monetary currencies, however, the concept of a distributed ledger (blockchain) and digital currency as a means of exchanging virtual value (cryptocurrency) also has the potential to revolutionize the way brands and consumers conduct business. As we consider how blockchain will impact the ways brands and consumers connect, it is important to keep the mutual benefits in mind. Blockchain is decentralized: Everyone participates on a level playing field. Blockchain is anonymous: Participants do not rely on their identities to gain leverage within negotiations or transactions. Blockchain is democratic: Everybody has a reason to uphold the integrity of all exchanges. These combined benefits provide a framework to support the growing popularization of this style of value exchange and create an empowering, trust-building way for brands and consumers to engage with one another. With the automation that AI and IoT promise, the demand for transparent, secure and open means of exchange like blockchain will revolutionize commerce, security and the consumer experience at a profound level. One of blockchain’s greatest benefits to marketers and consumers is the advent of consumer-owned identity and its management on blockchain. Blockchain promises a world where people are in control of their own personal information and have the ability to limit the type and amount of data shared. When developing a blockchain strategy, brands must prepare for consumer-owned identity management and understand what it will mean to their customer relationships. With the ability for consumers to own their identities, which they may choose to keep completely anonymous to companies, marketers must consider new ways to build relationships, offer personalized experiences and create new loyalty programs. The central question that will need to be answered is how to create a great consumer experience for customers and consumers whose information you may never be able to know. Marketers can also benefit from considering consumer attention as a currency in and of itself. Blockchain-based attention exchange can enable ad networks and publishers to evolve their business models to reflect something that consumers already believe—that the units of people’s attention hold actual value. This kind of currency might also be convertible to points in loyalty programs. The idea that consumer attention is not taken for granted and has tangible value will be a momentous shift in the advertising industry. For brands, they can be assured that they are only paying for high-quality awareness and engagement. For publishers, they receive higher quality ads that create deeper connections to their readers and viewers. While all of this beneficial exchange is happening, consumer information never becomes the property of brands or publishers so everyone wins. With increasing concerns regarding privacy, there will also be a rise in blockchain-based identity management systems that give consumers control to grant access to their personal and payment information and preferences. 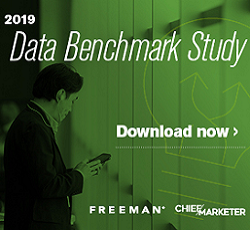 To access this information, marketers will need to embrace technologies such as BAT that demonstrate a commitment to transparent and equitable value exchange for consumer attention. Embracing and enabling blockchain-based consumer identity systems within a brand’s loyalty and commerce ecosystems also reduces information liability and brand risk surrounding data security. This will be especially important to keep brand reputation protected as consumers increasingly set and forget their preferences and automate transactions throughout the growing network of IoT applications. Remembering the underlying power of anonymity, transparency and democracy will help marketers keep pace and succeed with innovations that empower consumers. In return, marketers will benefit from increased engagement, stronger loyalty and greater opportunities in terms of both growth and efficiency. Chris Prescher is the principal and chief strategy officer of 50,000Feet.